Boston-area sports radio host Michael Felger has come under fire after a segment in which he criticized MLB pitcher Roy Halladay for his fatal plane crash on Tuesday. Felger and co-host Tony Massarotti of 98.5 The Sports Hub ridiculed the 40-year-old Halladay for flying an ICON A5, a single-engine, two-seater plane, in a "cavalier" way. 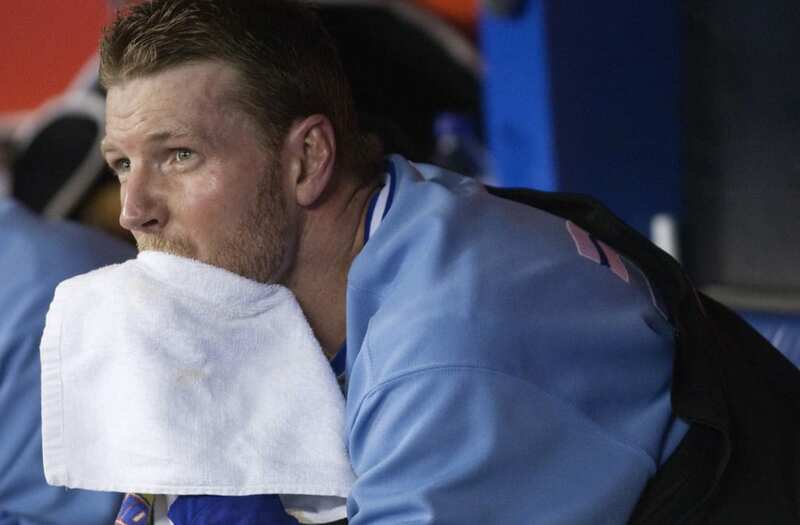 TMZ released video showing Halladay flying the plane at low altitudes and dive-bombing above the water in the Gulf of Mexico before the crash. "It just sort of angers me," Felger said. "You care that little about your life? About the life of your family?" Felger continued, mocking Halladay's desire to fly the plane in an extreme way. "He’s not a militarily trained pilot, he’s not a professionally trained pilot, he’s a Joe Q. Citizen who buys a plane that folds up and you can put in your garage and that’s amphibious, you can land on the water" Felger said. "'Wee! Oh look, I just landed on the water, everybody! I’m going to tweet it!' Splat. You’re dead. With two kids. Moron." Massarotti added, "Once you see the video, it is hard to look at it and say, 'This is a tragedy." Felger responded: "I didn't need the video. Jackass." Felger compared Halladay's death to Steve Irwin, "The Crocodile Hunter," who was stung by a stingray in 2006, and to Dale Earnhardt, who died in a NASCAR accident. Video from October showed Halladay and his wife, Brandy, flying in the plane. Brandy said she did not want Halladay to purchase the plane, saying: "I fought hard. I was very against it." "I went helicopter skiing once," Felger said, adding, "If I die helicopter skiing, you have the right to do the exact same thing I’m doing to Roy Halladay. He got what he deserved." The segment caused backlash among many who felt the comments were insensitive. @985TheSportsHub I’m rooting for Michael Felger’s firing with the same passion he roots for football players to get CTE & Tri-Athletes to all have heart attacks & die. Felger has thus far remained on the air and the station has not commented on the segment. The National Transportation Safety Board is conducting an investigation into the accident and a report is expected in the next week. Halladay was 40.